This is Your Year for the Greatest Vacation Ever! 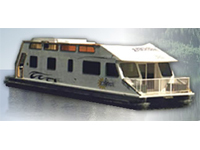 Snuggled on picturesque Sproat Lake Vancouver Island, Fish and Duck houseboats offers your perfect vacation getaway. Located 1 hour from world famous Tofino, we have houseboats for rent, a marina and a pub on site. Come on down and play!